A perfect plan of knowledge of Islamic studies. A strong association for the improvement of character. A pragmatic program for public welfare and social reform. A legitimate movement for the establishment of public welfare oriented ideal state and government. Rasul (SAW) discharged this duty by establishing The Deen of Allah. He proved that Islam is the only path of peace in the earth by enforcing the law of Allah in all spheres of individual, family, society, state, law, administration, judiciary and commerce. So, to perform the duty of establishing Islam is very important task. Sahaba e kiram (companions of prophet) also performed this duty with Muhammad (SAW). We all should discharge this duty properly as a Muslim. Satisfaction of Allah can never be possible by neglecting this duty. It was not possible even for a prophet to accomplish this duty individually. So, prophets executed a movement making them united who came under the shade of faith. It is tough to lead life as a complete Muslim in a society where Islam is not in force. And, the task of establishing the Deen of Allah is in no way possible without being united. Prophet (SAW) said, a Muslim separated from organization is captured by Satan as a sheep separated from herd is captured by wolf. So, life with an organization is an inevitable demand of Iman (faith). What kind of party is Jamaat- e - Islami? Jamaat e Islami is not a conventional religious, political, social or cultural party only. Jamaat performs as a spiritual party as spiritual life is important in Islam. Jamaat performs in political arena because Islamic law can’t be implemented without political force. Jamaat concentrates upon social service and social reform as strong emphasis has been given on social service and social reform in Islam. In this sense, Jamaat- e- Islami is a complete Islamic movement. Bangladesh Jamaat e Islami is producing capable people through the organization because it wants to establish deen Islam. People fit for this great task are to be gathered to establish Islamic society, state and government. These people will not come from space or can’t be imported from abroad. Jamaat e Islami is making capable people from amongst the people of Bangladesh as the prophet (SAW) gathered people by invitation and organization. 3. Being united if you want to lead life as a pure Muslim according to two above principles; remove dishonest people from the leadership and offer leadership for the people who are believer, God-fearing, honest and efficient. 1. Work of purification of thought and reconstruction through Dawat: Jamaat is widening the thoughts of people by upholding the correct knowledge of Quran and Sunnah through convincing argument and also awakening their courage and attitude to follow Islam and to enforce it. 2. The work of organizing and training: Jamaat is building people eligible to establish Islamic society through appropriate training and by making the people well organized those who are interested in the movement of establishing Islam. 3. The work of social reform and service: Jamaat is developing and patronizing the society through the work of social purification, morale reconstruction and social services on the basis of Islamic values. Islamic movement is the only means to create strong belief and character appropriate for Islamic society. Efficient manpower is built by the movement against vested political, economical, social and religious interests. Therefore, Jamaat is building manpower in this process. Dedicated and philanthropic workers are made in this process. Work of nation-building and social change can’t be executed through craze, terrorism and disorder. So, Jamaat wants to take responsibility of managing government in a systemic and democratic way. Islamic ideology is not the matter to impose on the people forcefully. The true victory of Islam is possible only with the popular support. • Significant contribution to play a positive role in national politics and to create strong Islamic practice in political arena. • Creating an environment to serve nation and people unitedly by increasing capability of the people educated both in Madrahsa and general background. • Creating a group of sincere, honest and efficient manpower and leaving examples of honesty and transparency. Do you want the victory of Islam? Surely you want to see the victory of Deen of Allah. If so, come and be associated with Jamaat. Decorate yourself with Iman (faith), ilm (knowledge), akhlaq (virtues) and amal (good deed). The working policy which Jamaat in this purpose has adopted will help you to go forward. • Attentively read tafsir (explanation) of Quran and Hadith, Islamic literature and news papers. • Practice according to what knowledge you have gained and take firm decision not to do anything against your conscience. • Be the member of Jamaat to perform the duty of deen efficiently.  If you desire peace in this life and aspire salvation after death, accept Allah as the only sovereign Lord and the messenger Muhammad (peace be upon him) as your only leader in all aspects of your life.  If you claim to have accepted this call, you must shun all thoughts, actions and habits repugnant to your faith and declare not to obey anybody against Allah and His messenger Muhammad (peace be upon him).  If you are determined to implement these two policies in your life, you must make collective efforts to replace dishonest and inefficient leaders by honest and efficient ones.  To actualize the first point of the programme the activists of the Jamaate Islami establish personal contact with people belonging to all walks of life, explain different aspects of Islam and urge upon them to read Islamic literature. The eminent activists of the Jamaate Islami hold the Quran class and the Hadith class at different places for making the people acquainted with the teachings of Islam.  To actualize the second point of the programme the Jamaate Islami enrols those who respond to its call, as Associate Members and train them through its regular activities. For their personal development, they are motivated to study the Quran, the Hadith and other Islamic literature. They are required to say their daily prayers in congregation. They are asked to recruit new Associate Members through personal contact. They are required to submit a report of their activities at regular intervals.  To actualize the third point of the programme the Jamaate Islami tries to ameliorate the sufferings of the poor and the destitute by extending help to them both in cash and kind. Whenever any natural calamity befalls the people the Jamaate Islami organises relief operations and tries to rehabilitate the victims as far as possible. The Jamaate Islami tries to mobilise public opinion, in different ways, against all sorts of anti-social and anti-Islamic activities.  To actualize the fourth point of the programme the Jamaate Islami tries to inspire the people to strengthen the spirit of independence which is needed for the survival of the country. Therefore, with a view to establishing the noblest objectives of formation of Islamic Society based on these fundamental beliefs and spirits, this constitution is hereby adopted and given into force. 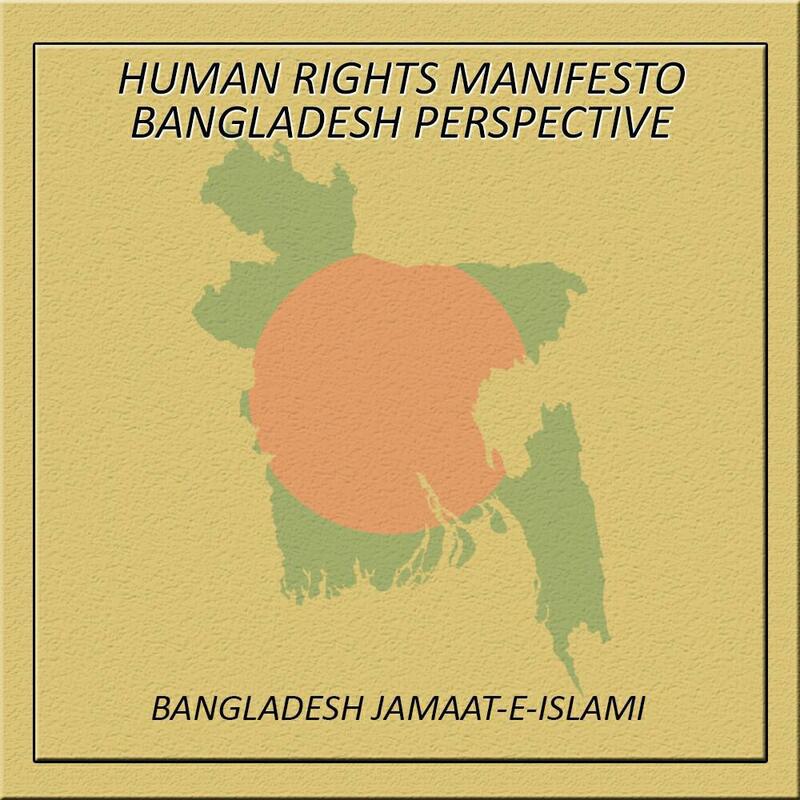 Bangladesh Jamaate Islami started working with a pledge to safeguard the independence, territorial sovereignty and Islamic values of Bangladesh which emerged as an independent state in 1971 through a great war of liberation. 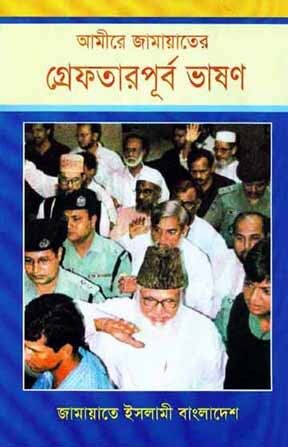 Since its inception the Jamaate Islami has been working to implement the Islamic code of life, prescribed by Allah and shown by Prophet Muhammad (peace be upon him), with a view to turning Bangladesh into an Islamic welfare state, consequently, achieving the pleasure of Allah and salvation in the life hereafter. 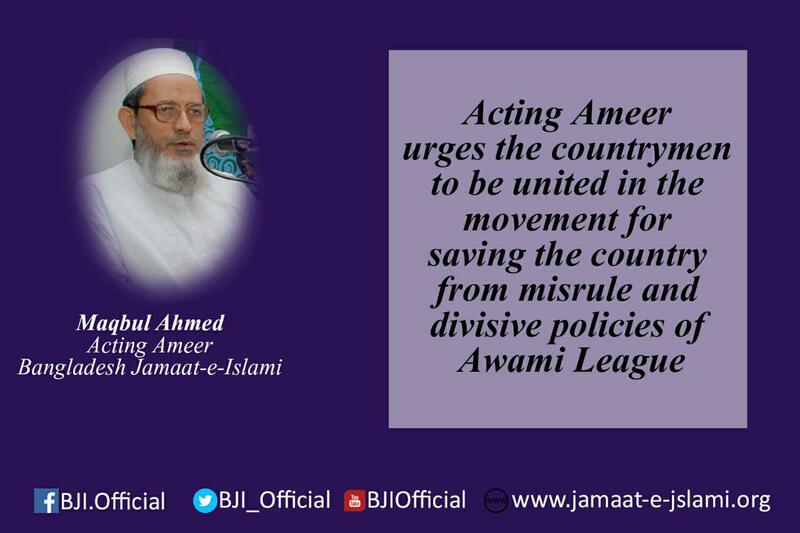 The Jamaate Islami has been striving to forge national unity and to invigorate Islamic values with a view to ensuring internal peace and order and thwarting external threats or invasions. With unflinching faith and trust in Almighty Allah, the Jamaat-e-Islami has been trying to prepare a group of people as responsible citizens, honest and efficient leaders with a view to ensuring a democratic political order, just economic system, protection of human rights and the fulfilment of the basic needs of the people, such as, food, shelter, clothes, education and medicare, irrespective of their faiths, colour and community- identities. The Jamaate Islami desires to strengthen world muslim brotherhood and establish good relations with all the countries of the world on the basis of mutual respect and justice. To establish Islam in its entirety, the Jamaate Islami strives to present the real picture of Islam to all citizens, to purify their thoughts and to inculcate in their minds the consciousness about the importance of following Islam in all spheres of their practical life. The Jamaate Islami strives to organise honest persons and to promote them to the level of efficient personalities. The Jamaate Islami strives to promote honest leadership to all spheres of life with a view to bringing about a change in the government and administration through peaceful and constitutional process. The Jamaate Islami practices democracy in its internal organizational elections. The leadership of this organization is determined by the votes of its members, who cast their votes keeping an eye on the integrity, efficiency and organizational sagacity of the leading figures. Being a member of an influential family is not, at all, a criterion to be elected to a responsible post in this organization. march towards Chittagong’, to be held on January 8 and 9, a success. restoration of caretaker government system and stopping of so called and controversial trial of war crimes. brutally killed 57 army officers. this connection instead of protest, they said. largely participate in the road march and make it a success.